We, the International Data Solutions (IDSCA), pride ourselves as being the pioneer in providing land-based sports advisory services since our inception back in 1997. Upon the onset of the 21st century, we have vowed to provide a revolutionary form of pay per head service that would capture both the world of sports, sports betting, bookmaking, and casino. We are here to give the best price per head service that bookies across the globe will grow to appreciate. 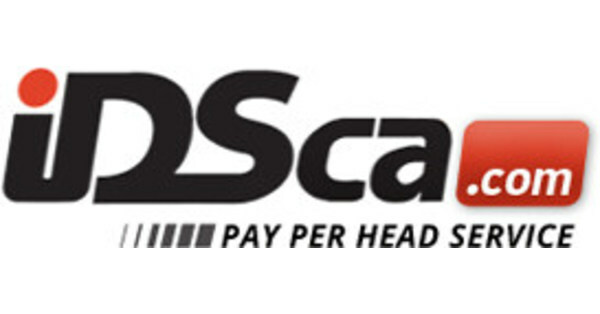 IDSCA offers a one-stop comprehensive price per head service for all bookmakers and players. We have developed one-of-a-kind bookmaking management software and solutions that are designed to meet the needs of every bookie and player. Our PPH platforms are responsive, solid, and highly accessible on any Web-enabled device which allows bookmakers to operate their own sportsbooks with the utmost ease and convenience. Our in-house team of experts, which include software engineers, web developers, graphic designers, and programming experts, is committed to providing you with the best platform for agent and his customers to navigate and utilize. Our hosting facility and servers are well-maintained to ensure that you can run your price per head sportsbook business without a glitch. Our pricing model is also amongst the best in the entire sportsbook management industry. We have a flexible pricing model that suits your every need. Moreover, we take pride in having the most reliable and competent call center customer specialists. Bookies, players, and people with general inquiries can call our hotline anytime of the day, any day of the week. In a nutshell: We offer a WIN-WIN strategy for your business. Our pay per head services are designed to continuously attract players. We have a cutting-edge tracking system for usage across our extensive network so we can certainly give you that upper hand in business. We constantly keep our services optimized and available on all Web-enabled devices. Allow us and our resources to handle the day-to-day work of your business. Save time and energy while maximizing your earning potential and growth. No problem! We can provide a customized design and platform for you. Get to choose from a range of mobile-friendly skins and designs. We’ve got a team of software engineers who can provide you with a solid website tailored to your own needs. Simply wait for your login credentials and you are set to go. We ensure that our comprehensive pay per head services leave you with no paper trail. We fully understand that discretion plays a vital role in this business. When your own players call us or login, all they need is a simple code – no e-mail address, contact information, or any identification is needed. We NEVER contact players unsolicitedly and ensure that they are protected when using the platform. We value trust and integrity in this business. If you have been inundated with calls from players, that is now about to change. An around-the-clock call center service is one service that is utterly advantageous in the bookmaking business. Our dedicated call center employs only the best agents in the industry who have a complete know-how on sports betting, in-house playing, and casino. They have been trained to communicate well with your players and see to it that they understand the ins and outs of the sports your players are interested in. Do you need to configure your lines and boards or maybe check on players and reset some limits? Sure. We can do that too. Whatever it is that you need to configure, we would gladly do it for you. We never outsource our lines, we control everything that on the board, how it should look, and how it should move. Just let us know what you need and let our experts do it for you. Efficient and effective – that’s how we do business. We guarantee that you will love our products for the price we offer. It is quite simple – pay only for your usage. Your price will depend on the add-on features you wish to include – and this is entirely up to you. No need to worry about hidden fees. Take advantage of our 1-week free trial. We aim to provide the best experience in using our price per head sportsbook software. Now, that’s what a top pay per head service is all about.